Australians know that adequate savings can help provide for a rainy day, help a family put down a deposit on a home, or ensure a comfortable retirement. Debt also offers a way for households to make purchases that would otherwise be impossible and to achieve a higher current standard of living. Debt invested into an asset that will also grow in real value and is able to be serviced without placing too much ?nancial pressure on a household, is generally considered to be good debt. The key is balance. Since the 2008 financial crisis, Australians have actually decreased their propensity to take on debt and have increased their savings. But debt rates still remain uncomfortably high and there is evidence that this savings discipline is beginning to fade. Have we grown too comfortable with debt? Bankwest Curtin Economics Centre’s second ‘Focus on the States’ report, Beyond our Means? 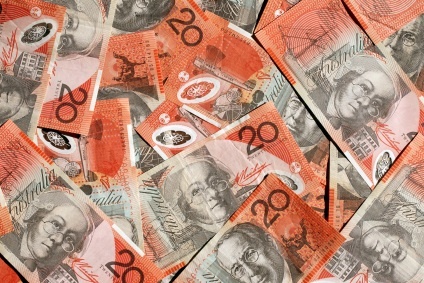 Household Savings a Debt in Australia finds Australians have more debt and are more comfortable with it. While household savings portfolios have seen an increase of 54% in real terms since 2005, household debt has risen by 51% in the same period. Many households are able to access and service this debt, with higher debts associated with higher incomes. On average, Australia’s estimated 9.1 million households have savings in the form of ?nancial assets of $340,900 and debts of $148,700. However, there is a gulf between those at the top of the distribution and those at the bottom. The inequality in the distributions of household savings and debt are considerably worse than the much talked about inequality in incomes. The average household disposable income of the top 20% of savers is less than four times those in the lowest savings quintile. However, their savings at an average of almost $1.3 million is 200 times the bottom 20%. This top quintile may receive one-third of all income, but they own three quarters of the total value of savings in the form of ?nancial assets. The trifecta of debts, low (or no) savings and low incomes presents many low economic resource families with an unenviable challenge to maintain an acceptable quality of life for themselves and their families on a day-to-day basis. Since the global financial crisis, the household savings rate have risen, with households exhibiting discipline in their expenditure at a time when the economic outlook was uncertain. In an economic downturn income can decline quickly while reining in spending can be more di?cult, for both households and governments. Debts can quickly get out of hand and become unmanageable in this situation. While Australian households have decreased their propensity to take on debt and have increased their savings in the post-GFC period, household debt still remains three times higher now than what it was 20 years ago. Australians are now more comfortable with debt and currently hold debt equal to 1.5 years of income, whereas in the past they had only debt equivalent to six months of annual income. The share of debt associated with investment property loans has tripled from one-tenth to three-tenths between 1990 and 2015. Unlike previous generations accustomed to more rigid ?nancial products, current households can access a greater number of ?nancial products, which have arguably become more complex and more ?exible. This flexibility delivers bene?ts, but with complexity comes risk and it is important to promote good ?nancial decisions and encourage a longer term outlook. Mortgage equity withdrawal has become a popular tool to derive a higher current standard of living by using the family home as collateral. More households now use these schemes to smooth consumption or relieve short-term ?nancial pressures. But this may have contributed to the average mortgage debt as a proportion of property values almost tripling over the last 25 years, rising from 10% to 28% since 1990. Another issue is the use of superannuation savings to pay down mortgage balances, leading retirees to rely more on the pension. So are we living beyond our means? With household debt to income ratios three times higher now than a quarter of a century ago, household debt up by over 50% in real terms over the last decade and the debt of those approaching retirement (55-64 year olds) up 64% in real terms, it would seem on the face of it to be true. However, the reality is more nuanced. Household savings are growing faster than income and 8.5 cents in every dollar is being saved, and there is now $2 trillion tucked away in superannuation, while riskier investments are making way for more a more conservative approach. This is far better than we were 10 years ago, but with a note of caution that savings are again on the decline. Alan Duncan is Director, Bankwest Curtin Economics Centre and Bankwest Research Chair in Economic Policy at Curtin University. Rebecca Cassells is Adjunct Associate Professor, Bankwest Curtin Economics Centre at Curtin University.